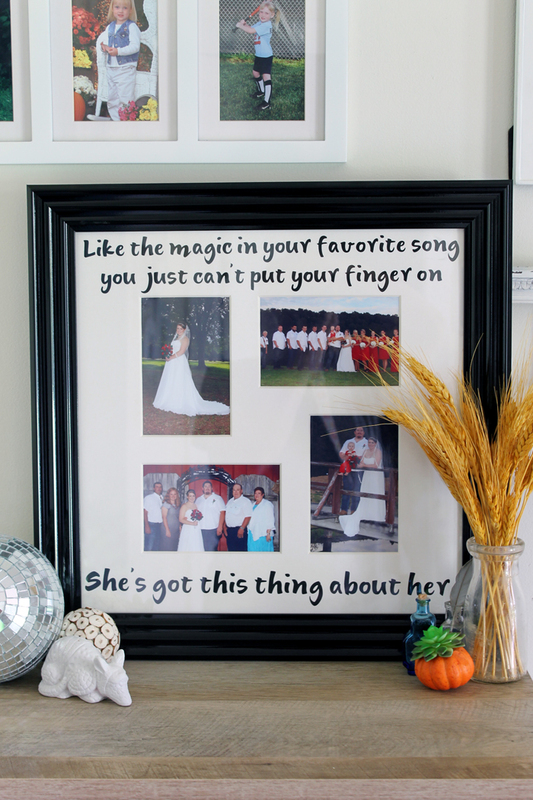 Make a wedding frame with song lyrics as a memento of your special day. That special song that you picked for your wedding does not have to be forgotten. 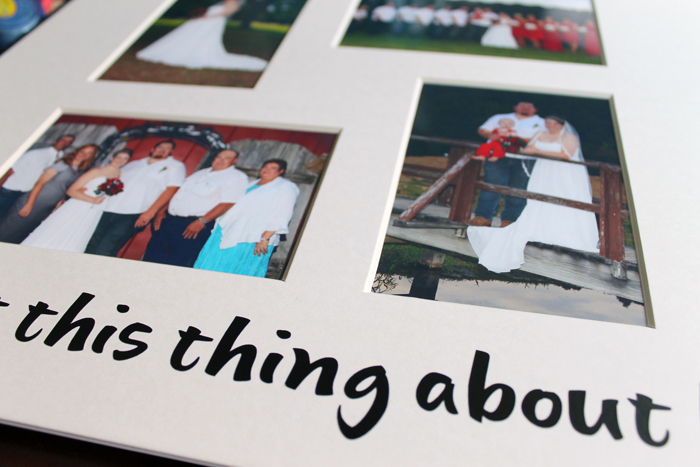 You can memorialize it forever on a one of a kind photo mat that works perfectly with your wedding pictures. Learn more about how you can use your Cricut to make this project and win a fabulous prize below. This post is sponsored by Cricut however all projects and opinions are my own. 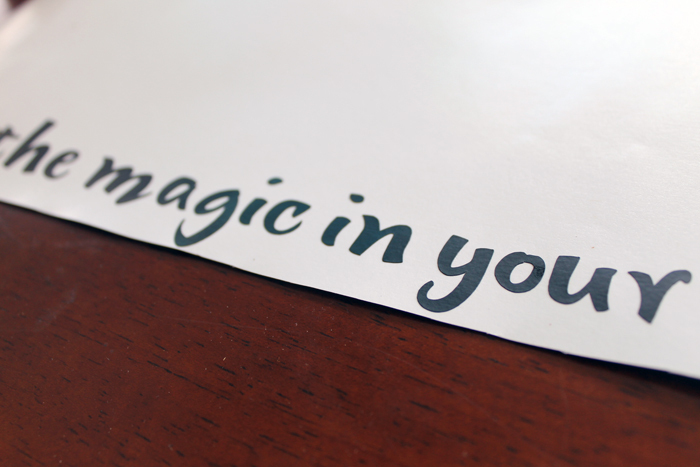 Start by laying out your song lyrics in Cricut Design Space and choosing a font. The lyrics can come from the first dance or the song that is used for the bride to walk down the aisle. 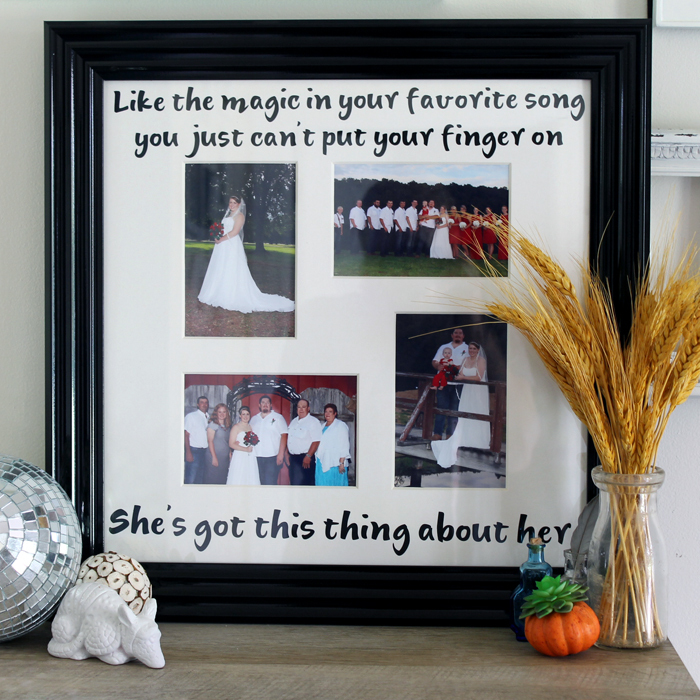 Any song that is important to the bride and groom will make a great addition to this wedding frame. A personalized memento like this one makes a gift that is special for the couple. Be sure to measure your photo mat to get everything sized correctly. Cut the words from vinyl. Weed the vinyl until you are left with only the words. 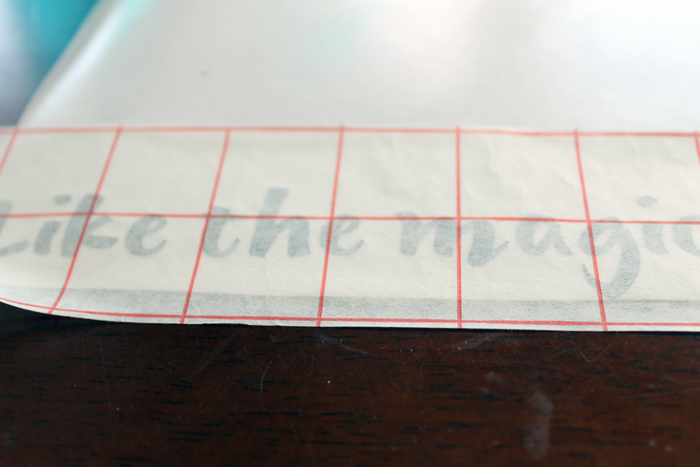 Apply transfer tape over the top of the words. Peel back transfer tape so that vinyl is left on tape. 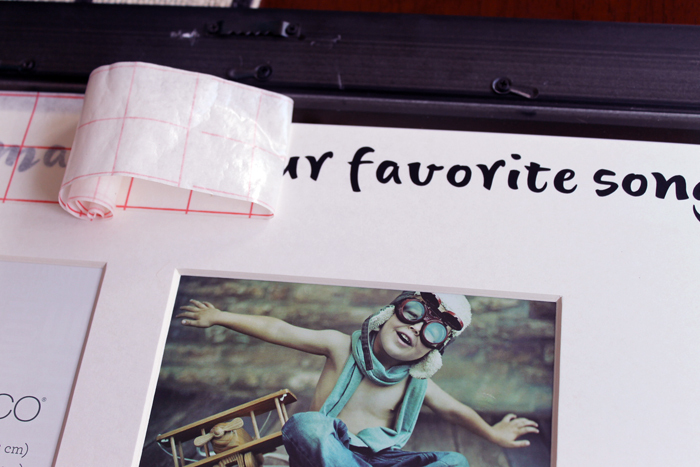 Arrange words onto photo mat and press well on vinyl. Remove transfer tape carefully so that the song lyrics are left behind on the mat. Repeat until all of your lyrics are transferred onto your photo mat. Add in pictures from the wedding. 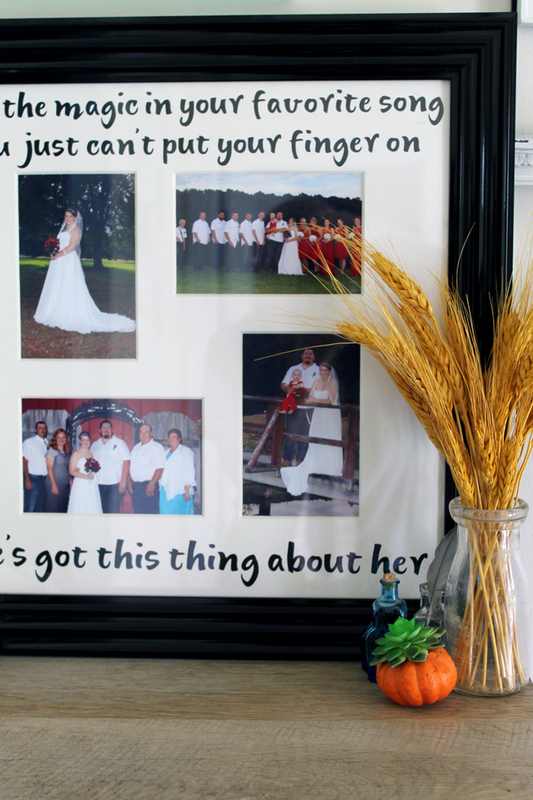 This wedding frame is ready to hang in your home or give as a gift to the bride and groom. I love the look of this frame with the song lyrics and the special meaning behind it for the lovely couple. Be sure to make one of these for anyone that you know that has recently been married. It is sure to put a smile on their face! I loved making personalized items for this rustic barn wedding with my Cricut. Personalized items show off the personality of the couple and allow them to really shine through during the event. 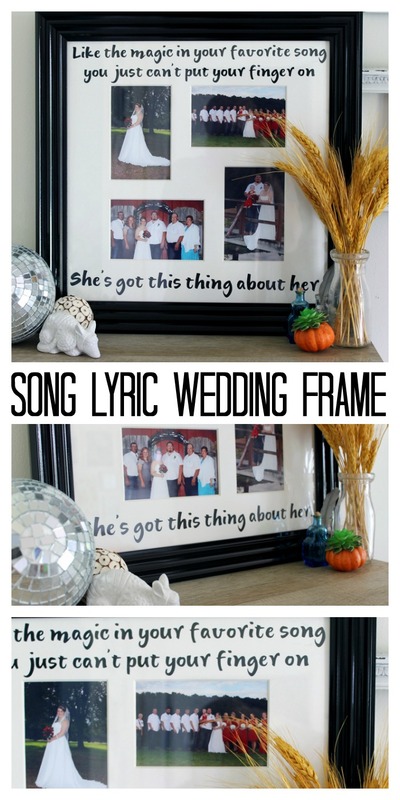 Now that you know how to make this song lyrics wedding frame, are you ready for an amazing giveaway? I thought so! If you are reading this between September 12th – September 18th, you have a chance to win $1500 in wholesale wedding flowers from FiftyFlowers. Get wholesale flowers delivered fresh from the farm to your doorstep along with a huge selection for your wedding. If you are reading this between September 19th – September 25th, you have a chance to win a 4 day, 3 night Luxury Included® vacation to any Sandals Resort in the Caribbean! Perfect for a honeymoon or even a get away before the wedding. Want even more DIY wedding inspiration? 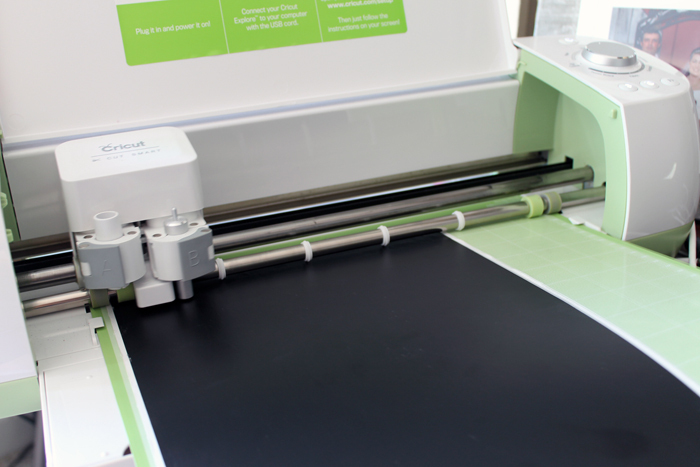 Cricut has it for you! Click here to see wedding ideas in every style! 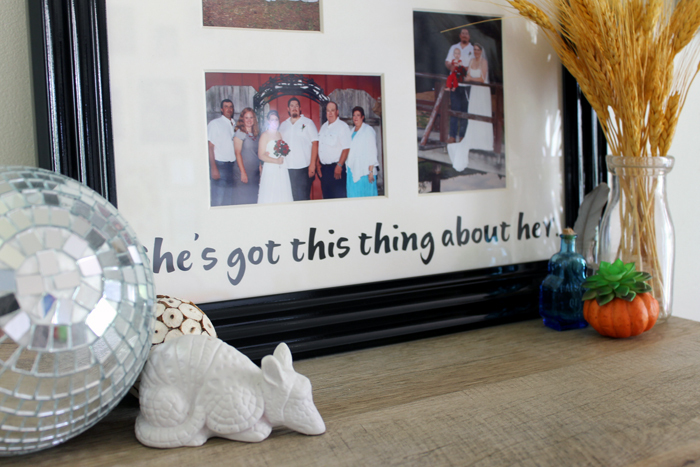 You will love this wedding frame and all of the other projects that you can personalize right at home for the wedding of your dreams. This is such a sweet idea! This would be perfect as a wedding or an anniversary gift! Thanks so much for sharing your tutorial with us at Merry Monday this week! That’s such a great idea, too cute!